Darmstadt is located in the southwest of Germany in the federal state of Hessen and is part of the Rhine-Main metropolitan area. Frankfurt am Main is less than 35 km away, and cities such as Mainz, Wiesbaden, Heidelberg and Mannheim are also nearby. Darmstadt and TU Darmstadt are well connected and easily accessible by car, train, or plane. The international airport Frankfurt Rhine-Main is located 25 km from Darmstadt. 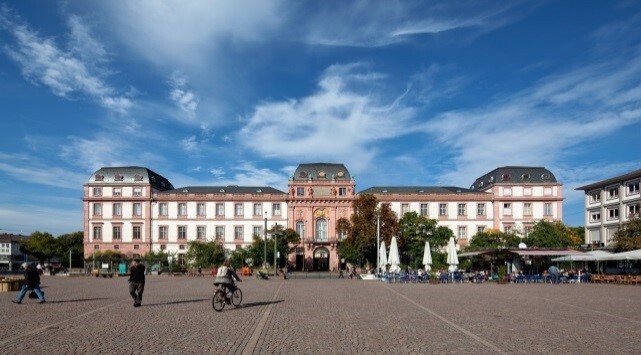 We recommend the express bus AirLiner (Terminals 1 and 2), which offers a convenient and fast 30-minute connection from the airport to Darmstadt Hauptbahnhof (main station), Luisenplatz and Darmstadtium Congress Centre. You can buy your ticket at the ticket machine or in the bus (only cash payment). The price is 8,75 Euro for a single ticket. Participation in EUCRITE’s Staff Training Event is free of charge. However, participants need to cover their own expenses for travel and accommodation. Please contact the International Office at your home institution to find out whether funding through e.g. the ERASMUS+ Programme for staff mobility is available. Below you will find a list of hotels with special rates. Please, note that space is limited and there are deadlines to benefit from the special rates.